During my mini-retreat in Cork I dug out a number of old as-yet-unfinished or unpublished poems to see what I could breathe new life into. Re-use & recycle! Nothing’s wasted! Or is it? Sometimes when I get out an old poem I find I’ve put enough distance between it and me, and now I’m able to see its flaws and work on it anew. Other times I wonder if the whole poem needs to be killed off, like cutting a plant right down to an inch from the ground, letting in light and air, giving energy and space for new growth. When I re-read a poem I started years ago, if it doesn’t excite me enough to want to work on it further, I ask myself do I still want to say this? If yes, then can I go back to the first impetus – whatever it was that started me on this poem – and start again on an entirely new road? I’ve come back from Cork with two re-worked poems I’m quite pleased with, two that I started to re-work but not yet feeling the love, and one ‘new start’ poem, still early days. Another poem is completely new, but the idea has been mulling for a while. This hotel/work poem is a good example of the ‘re-use/recycle’ thing. Earliest versions from about two years ago bear no resemblance to the one that’s going into Magma. 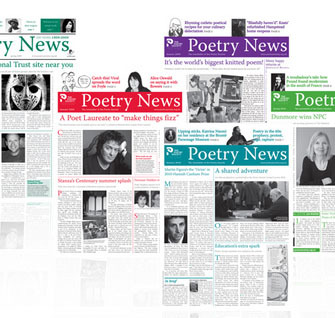 The fifth version was the one that Poetry News rejected. I then workshopped it both at Hastings Stanza and with poet friend Marion Tracy and it became more fractured and a lot darker. The title became weirder. Ian Duhig at the Garsdale Retreat last summer had some positive comments on it. I worked on it a bit more until it felt stronger and stranger, then sent it (by now, version 12) to The Poetry Review, where it was rejected. It was then in the drawer for six months until the Magma theme came up and I gave it one more outing. So persistence paid off, and by heck I was needing a confidence boost. I hope you have similar stories to tell. Here’s to successful recycling, upcycling or whatever cycling floats your boat, so to speak. Well done Robin! Good to hear about your Magma success. I’m working on some old drafts as well – things I found (on paper) while sorting files that are waiting to go back into our newly-revamped office. (Is that what it takes to dig out the old stuff??) But, as you say, time can give wonderful perspective on changes that are needed . . . Thanks Jill, … and good luck with the new filing – there’s probably gold in there! Hi Claire, thanks for that – I always think it’s interesting when poets talk about the drafting process and it’s a good reminder (should we need it) of the amount of craft/thought/rejigging that most people go through in the poem-making. Look forward to seeing your poem also! Congrats on the accepted submission, Robin! Good example of reworking and resending. I have a similar story about a poem I now really like. It took a long time reducing it and then I’d gone too far so went back when I’d lost the angst of the editing and could see it afresh. Added enough to help the baffled reader in. Cleared the path for the poem I think. “added enough to help the baffled reader in” – ha ha! Yes, I know what you mean! Great news about Magma Robin. You obviously had something important to say and it was worth persisting. I definitely approve of recycling, reworking, reimagining etc and have often turned old half finished pieces into new stories or poems. Some of the best meals are made from left overs! On the flip side I’m also rather prone to not leaving things alone and constantly re-editing but that’s another story . . .
Hi Danielle, and thanks – yes I think I would be more of constant re-editor if I didn’t get bored with the damn poem so quickly. But I suppose getting things out of and back into ‘the drawer’ over a period of years does count as constant re-editing, so guilty!